My Occasional Blog: Happy 2015! New Year's revelers in Ratchaprasong Intersection in Bangkok. 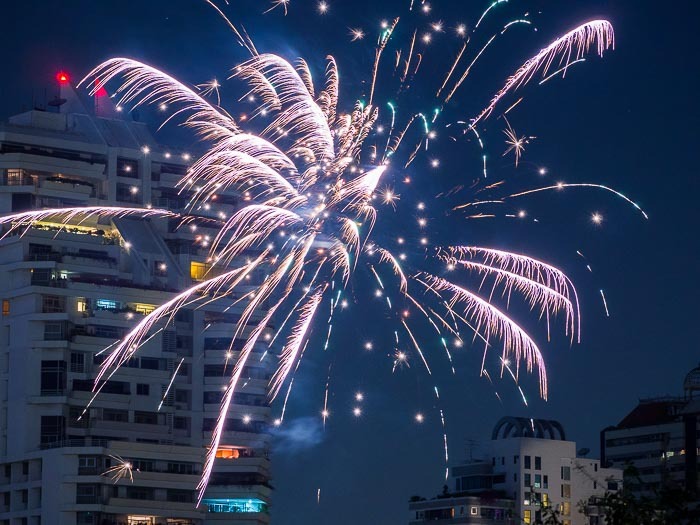 Bangkok rang in 2015 with its usual festiveness. Tens of thousands of people gathered Ratchaprasong Intersection next to Central World for the now traditional New Year's countdown. 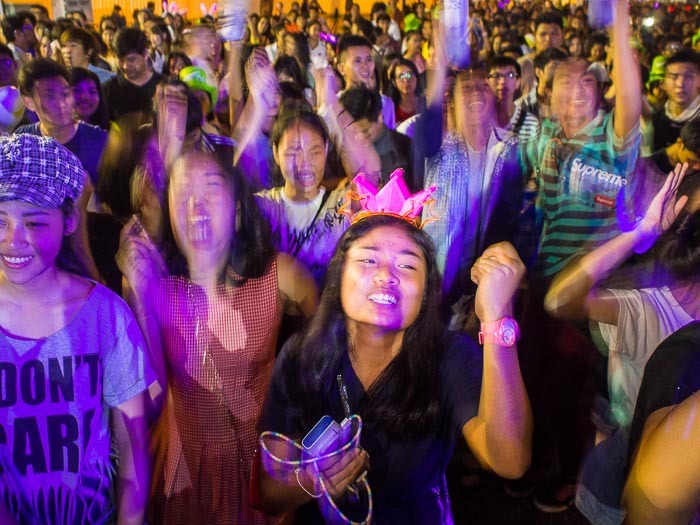 This is the third year I've photographed Ratchaprasong party. It's a fun party. The Erawan Shrine, a very popular and important Brahmin shrine is across the intersection from the party, people stop in there all night to pray and make merit. 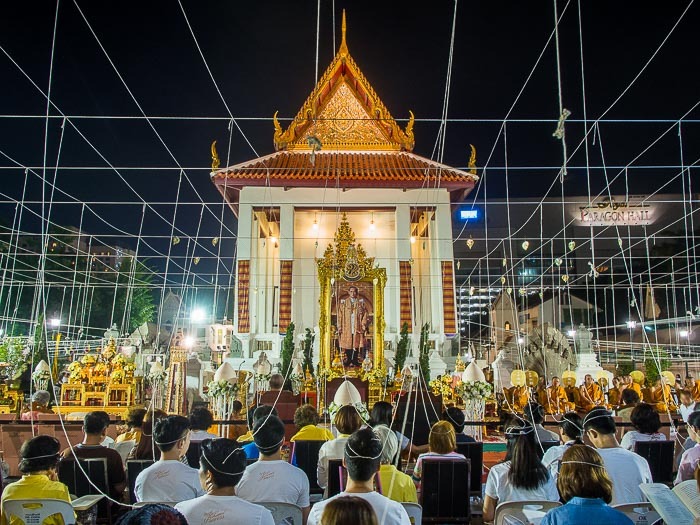 Wat Pathum Wanaram, an important Buddhist temple, is about two blocks away from the party. People also go there to pray and make merit before the New Year. Then there's the actual party, where people neither pray nor make merit but do celebrate. 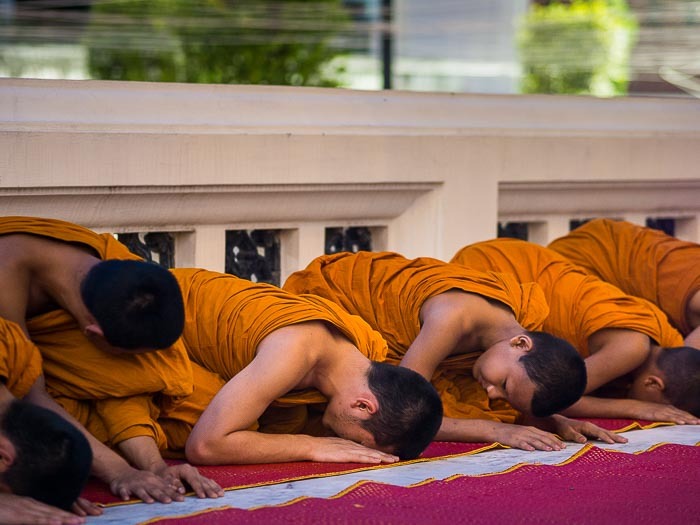 People pray at Wat Pathum Wanaram. I photographed the party but I spent most of the evening photographing people at the shrine and the temple. It was more interesting to me and, as Thailand enters what could be a difficult year, a better way to mark the New Year. 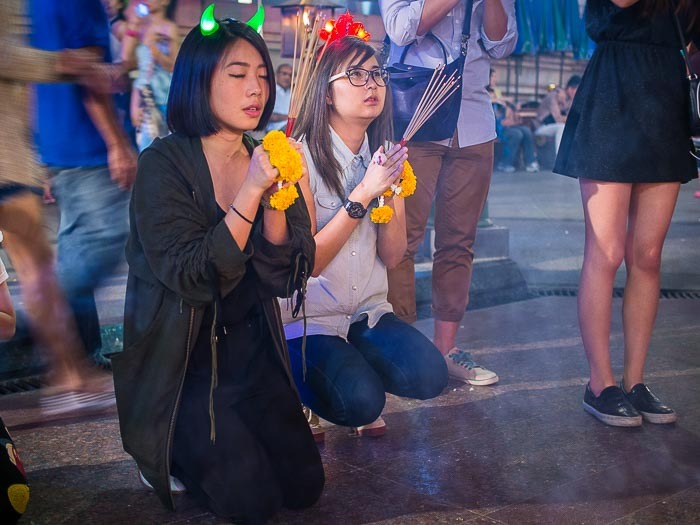 People pray at Erawan Shrine after spending time at the party. 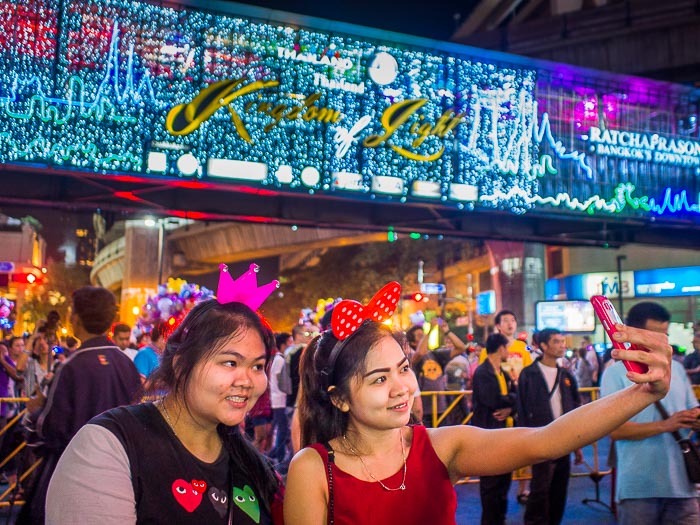 The obligatory "selfie" photo in the lights of Ratchaprasong. 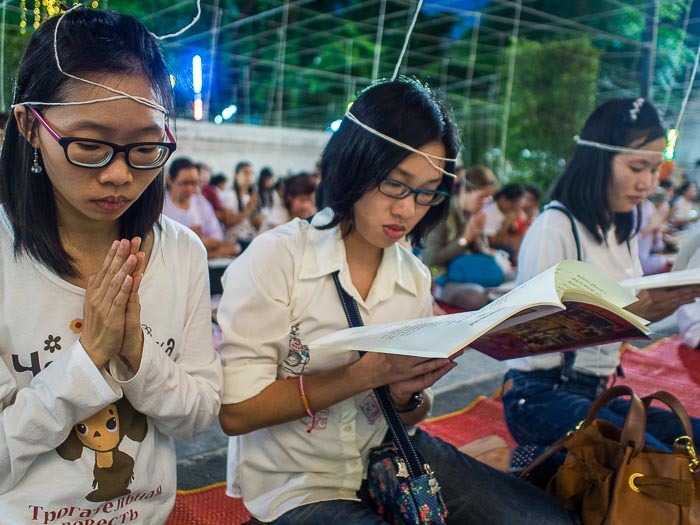 There are more photos from Bangkok's New Year in my archive or available from ZUMA Press.